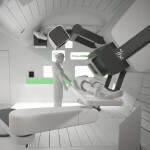 A new imaging technology promises to accommodate for anatomy and tumor changes to achieve better patient positioning and promote adaptive treatment, allowing clinicians to modify treatment protocols so they fit the immediate needs of cancer patients undergoing proton therapy. 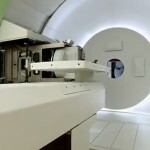 Cone Beam computed tomography (Cone Beam CT) gives proton therapy clinicians and physicists the ability to use 3-D volumetric imaging, which provides improved contrast leading to more precise treatment of cancerous tumors. 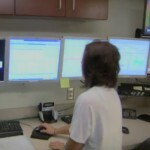 Currently, proton therapy centers use planar (2-dimensional) X-ray images to compare the position of the patient with the position indicated in the patient treatment plan to ensure that they are in alignment. 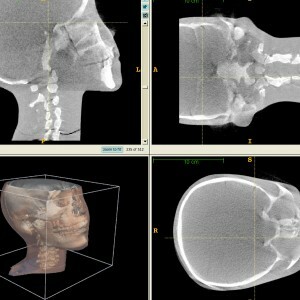 Anatomical changes that could necessitate modification of a treatment plan include patient weight loss, tumor shrinkage or, for head and neck cases, liquid in the sinus. 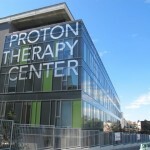 The physics elements of proton therapy — the shape of the proton depth dose curve, the energy release at the Bragg peak and the steepness of the dose fall-off — all contribute to making the dose distribution in the patient’s body sensitive to any modification of the path along which the proton beam travels. As a result, it’s even more important to assess these kinds of modifications in the anatomy when using protons than when using photon-based radiotherapy.